Hubba, hubba! 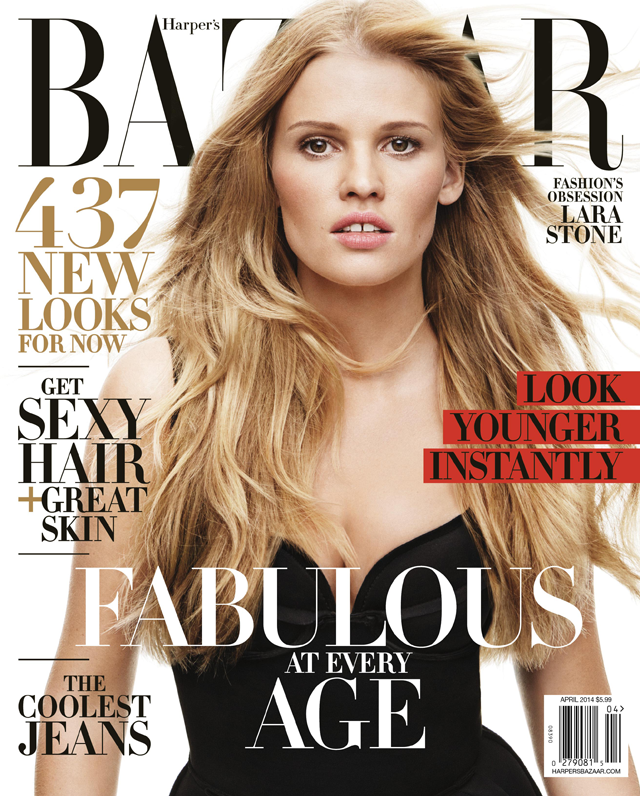 Lara Stone is once again grabbing every eyeball on the magazine shelf for her cover of Harper's Bazaar US April 2014. The model is covering the annual age issue and pulling rank for all us thirty year olds out there. Stone is seen wearing a simple strapless black Lanvin dress and sporting low maintenance beach like hair. Simplicity is found in every element of her look here. Harper's Bazaar are once again leading by example - keep it clean, ladies, clean and simple. Always a winner.